Here is a great resource for math fact flash cards. I love that they are sorted by fact type. 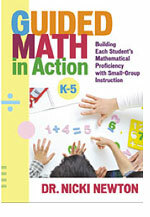 Be sure to set up a math fluency workstation that is leveled. Meaning that, some students would be practicing make ten facts while others would be practicing doubles. Super important that students practice in their zone of proximal development.